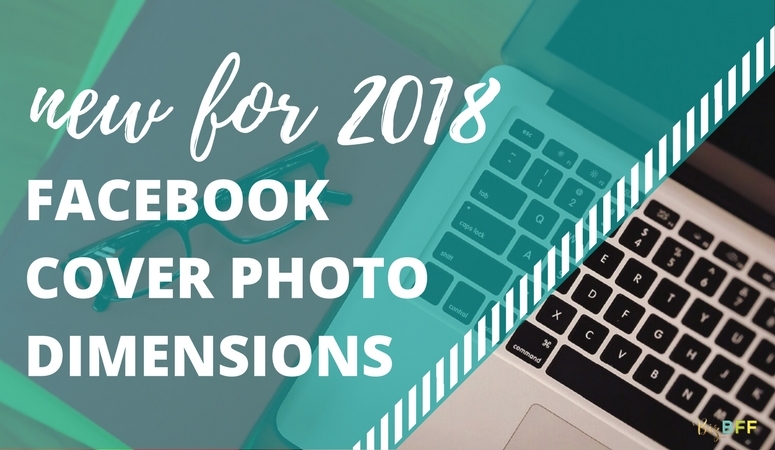 Facebook Cover Photo Dimensions – New for 2018! Well, Facebook is at it again! They’re always switching things up over there, just to keep us on our toes. The latest news is that they’re rolling out new Facebook cover photo dimensions. Here’s everything you need to know and how to adjust to the change. The new ideal mobile dimensions just happen to be the same as a lot of other things we’re already familiar with! 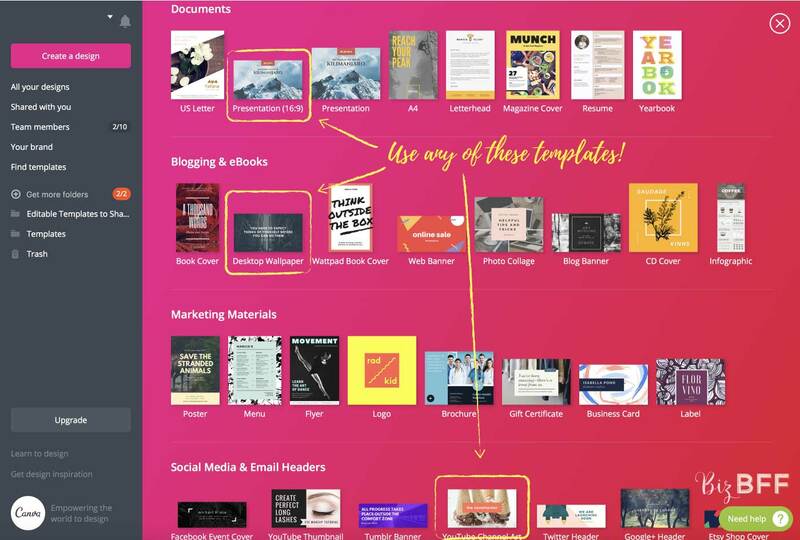 Which means that you can still use Canva templates, you just have to go to a different section. The mobile dimensions follow a 16:9 ratio, which is the same as a widescreen tv! In Canva you can use the YouTube Cover Art templates, the Presentation (16:9) templates, or the Desktop Wallpaper templates. So many options! Also, now you can design all of your cover photos using the same dimensions. Business page, personal profile, groups–they’ll all have that 16:9 ratio on mobile with a little bit cut off on top and bottom for desktop. Your cover photo will look different on mobile than it does on desktop and different on your phone than it does on your ipad. It’s been this way forever. But that doesn’t mean we have to like it. So make sure if you’re taking a photo to use on your cover image you leave a little extra background room so you can crop it the way you want to and no one’s head will get cut off. Even though business page, personal profile, and groups all have the same dimensions on mobile now, they’re still slightly different on desktop. Annoying! They’re getting closer to being consistent, though! As with every Facebook change, the rollout can be slow. So you might not even see any changes yet. And then one day you’ll wake up and everything will look weird. Expect some transition time while everyone adjusts and the changes roll out. I woke up to this pretty little nightmare–my cover photo for the Hive Facebook group was super wacky! The group cover photos seem to be getting hit the hardest. But with a little tweak and a dash of redesign, now it looks great! Design all of your cover photos (Whether it’s for your business page, your personal profile, or a group) so that it’s width:height ratio is 16:9. 1920 pixels by 1080 pixels is a good size. Even though Facebook gives smaller pixel numbers, if you upload a 1920 X 1080 image, it will look great even on the fanciest of retina displays. I made a template and video tutorial to help! Want a little extra help designing your Facebook cover photo? I made you a present! Click here to download my 5-minute video tutorial and a special overlay that you can use on ANY design to check that everything will look good on both desktop and mobile. Have you noticed the new cover photo dimensions on Facebook yet? How are you handling it? Let me know in the comments! Success! Now check your email to grab your download! I am at my wits end trying to use the Union photo app for an a Facebook event cover photo. it chops the ends off. Can anyone give me some insight?